"All the major projects are going ahead. There is a lot of interest for commercial property projects and there would be a take off of FDI’s soon. Free Trade Agreements with China and ECTA (with India) would also be beneficial to the country"
Q Now, the government has been in power for one year; how do you see its progress in terms of living up to the public’s expectations? 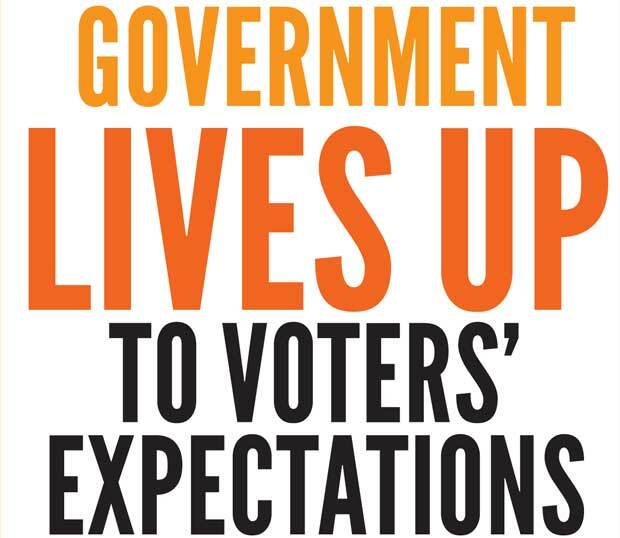 The Government has fully lived up to the expectation of voters for good governance. People rejected a corrupt family setup and they did not want Sri Lanka to end up like another Zimbabwe. The President and the Prime Minister moved quickly to bring in the 19th Amendment which got away with the bar on the term limits. The powers of the President have been vastly reduced with more powers given to the Prime Minister. This itself is a huge victory for the people and it took 37 years to achieve. Now there can never be a one-man show or a one- family show in the country. The 20th Amendment will extend the principles and bring in a more just and representative electoral system. The new Constitution will also safeguard and extend human rights to every citizen of this country. There is no fear in the country any more. The judiciary is independent and there is greater political freedom as seen by the unhindered Paada Yathra. Q As the Plantation Minister, how do you see the situation in terms of planters’ grievances and those of estate workers at the moment? Both planters in the plantation companies and the estate workers are facing difficulties. Firstly on the wage issue, the workers have not got an increase after the 2-year collective agreement came up for renewal. This is because the plantation companies are badly hit by the drop in tea prices. Companies also want to pay workers on their productivity which is reasonable because that would benefit both the worker and the planters/companies. The tea industry is also hit by the ban on weedicide, which I too am against as there is no science to back it up and also because you cannot have commercial agriculture without weedicide. We are trying very hard to resolve these issues. It is to sort out the immediate issues as mentioned earlier and then move into a long-term sustainable strategy that would ensure quality and higher prices for our teas. The Tea Board has been given strict instructions to crack down on the adulterations of teas, and I will ensure that no interference takes place by anyone in this regard. We are trying to enter in to new markets, such as China, Iran and The Americas but they would take longer to materialize. We should thrive to enhance the quality of our teas and make sure there should be a target oriented marketing campaign in place to develop the brand. Q Tea small holders seem to have been hit by the fertilizer issue. How do you see this? The government is definitely giving the fertilizer to tea small holders. There was an issue in getting the subsidy across as we had to go through thousands of applications to ensure that the appropriate people got it. Within the next two months, the small holders will definitely get what has been promised to them. 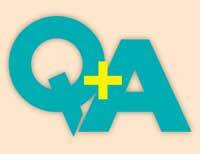 Q What is your position on the Value Added Tax (VAT) Amendment Bill proposed to increase rates? The popular response would be to say that I am against it and that is what most politicians would do. However, I am a policy wonk and I see no other option other than cutting expenditure. Government has a serious issue of meeting its projected revenue because of the Rajapaksa loans. I believe we have to make these unpopular decisions now than later to salvage our country. The government has exempted VAT on essential items. "The Tea Board has been given strict instructions to crack down on the adulterations of teas, and I will ensure that no interference takes place by anyone in this regard"
All the major projects are going ahead. There is a lot of interest for commercial property projects and there would be a take off of FDI’s soon. Free Trade Agreements with China and ECTA (with India) would also be beneficial to the country. Rural development is underway with Rs. 1 million given to each Grama Niladari Division. All other social development and welfare programmes are continuing with an increase in the allocations for education and health. Q In your view, what should be the priorities of the government within the remaining period of it? Moving forward with the 20th Amendment and other good governance concepts, ensure rapid economic development through a policy of fiscal consolidation, containing inflation and job creation. Ensuring a good communication strategy in place as, sadly, that seem to be somewhat lacking in the government. Q How important is it to work out a new Constitution? Very much, as mentioned to keep the momentum of the good governance concepts and also to give a political solution to the burning issues on ethnic equation. Q You were among the first lot to have defected from the previous government to join the incumbent President. What do you feel about the decision that you had taken? My conscience is very clear with my decision. Our country must never ever have an utterly corrupt family system as such again. With brothers, sons, cousins, nieces, and 10th and 100th nephews being given positions in government. We must strive to ensure that all citizens have equal access to liberty, political rights economic prosperity-based and ensure that there is true meritocracy in place in all levels of leadership. "My conscience is very clear with my decision. Our country must never ever have an utterly corrupt family system as such again. With brothers, sons, cousins, nieces, and 10th and 100th nephews being given positions in government." 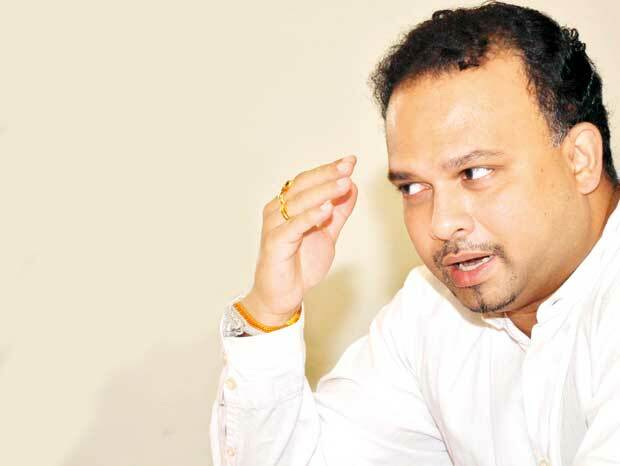 Q During the last few days, you were entangled in a wrangle with Finance Minister Ravi Karunanayake over the transfer of Cess Funds of Tea Board to the Consolidated Fund. Do you still stick to the same position? There is a fund created by regulation under the Tea Board Act known as promotional levy fund. That is only used for the promotion of tea only. What the Finance Minister is trying to do is to collect the funds and for that specific purpose. But, the Minister is trying to bring all the government funds together under a separate law. That is something separate. But, this is governed by a special regulation. This is the Tea Board Fund. It cannot be treated otherwise and the dispute is all about it. Q But, the government is bent on going ahead with it despite your objection. What are your views? I don’t think this has been studied properly. This is governed by a special gazette. Under Article 149 of the Constitution, the consolidated fund is existent. If anything is excluded from it, and for a specific purpose, it cannot be taken back by the Finance Ministry or anyone. Yes, that is the law. This is an exception to the others. There cannot be any interference with this Fund. The fund belongs to the exporters. Former Finance Ministry Secretary Dr. P. B. Jayasundara also tried to do it, but realized that it could not be done in accordance with the law.